Branded hangtags add a signature touch to a Coach saddle bag downsized for daily use in smooth glovetanned leather. 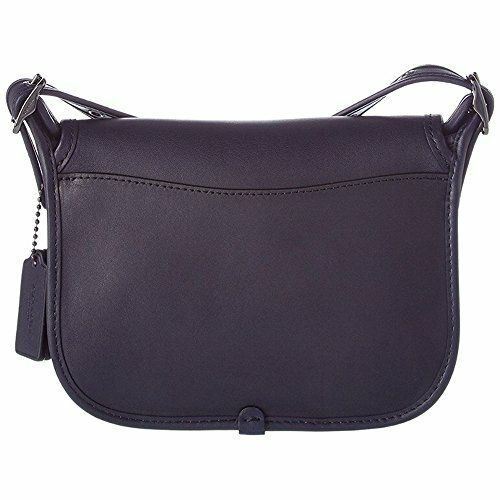 The versatile strap offers three-way carry: Long or short shoulder, or crossbody- wear. Details: Inside zip and multifunction pockets, five-hole adjustable strap doubles up for three ways to wear, flap closure, leather lining, dust bag included, imported. Measurements: 7 1/4''W x 5 1/2''H x 2 3/4''D. Material: Leather.